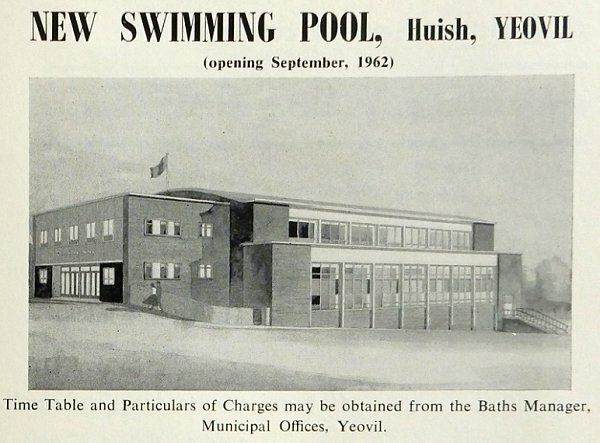 Yeovil's first public swimming pool and baths opened in Huish, on the corner of Felix Place, in 1885. 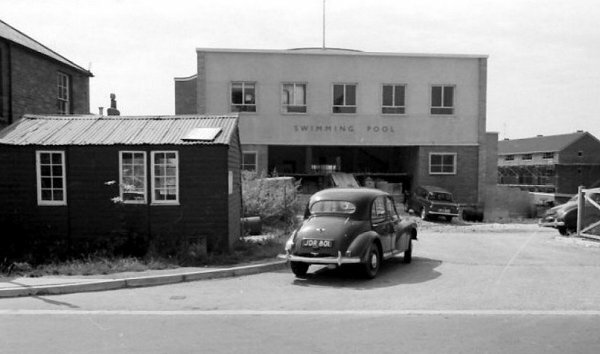 Although enlarged and modernised more than once, the Huish pool was finally demolished in 1960 when it was rebuilt. The Yeovil Country Park website states that the Huish pool "had a design blunder being built a fraction of an inch too short - which meant it could not be used for competitions." However, when I worked in the Council's architect's department in the 1970s I was told by the Principal Architect, the late Lionel DeMott - who had a major input into the design of the new pool - that the 'blunder' was actually very deliberate and was more like twelve inches. This was because the Council at that time categorically did not want it to be used for competitions although, of course, this was not made public as such. 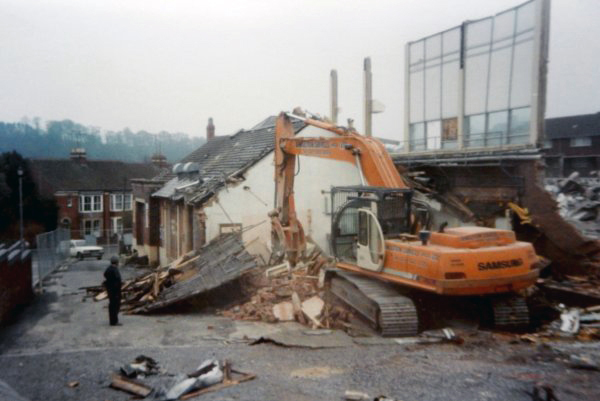 The new building was three storeys high, but the sloping situation of the site (most noticeable in the second photograph below) meant the entrance hall was a storey higher than the pool surround. The pool itself was now supposed to be 100 feet by 35 feet, allowing for five swimming lanes and accommodating 175 swimmers. The depth of 12½ feet at one end meant it was possible to position diving stages of one 5-metre firm board and a 3-metre and 1-metre spring board. The building was of reinforced concrete framing, clad with cavity brick walls and reconstructed stone, The internal ceiling was finished with 'Pyrok' on expanded metal lathing to provide thermal insulation and 'Plyglass' glazing was used on all external windows to ensure a high degree of thermal insulation. It did, I seem to recall, suffer terribly from condensation. 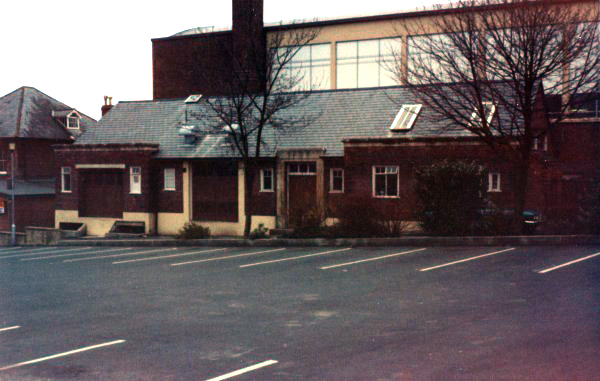 The new swimming pool was, in turn, replaced by the Goldenstones Pools & Leisure Centre which opened on 1 August 1992. An advertisement in the 1962 Yeovil Guide showing the new swimming pool that was to open in September that year. 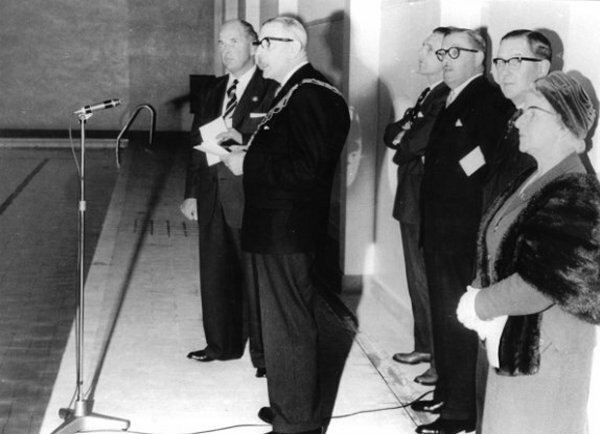 The opening ceremony of the new swimming pool, September 1962. The newly-built swimming pool approaching completion in 1962. 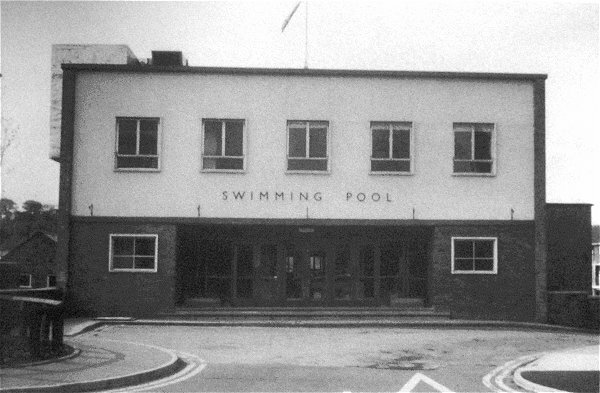 The new pool, photographed from the east side - an unusual view - probably in the 1970s. 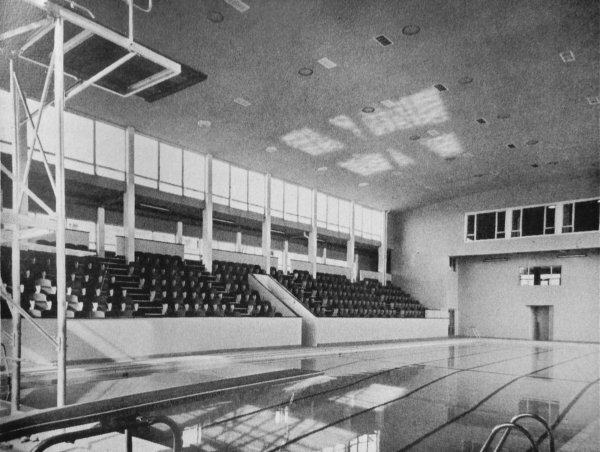 An interior shot of the pool building showing the tiered spectator seating, c1962. The newly-finished rebuilt swimming pool. Photographed about 1962. 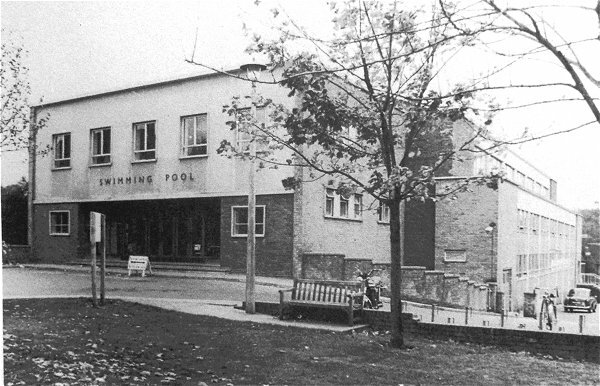 Another early 1960's view of the pool. 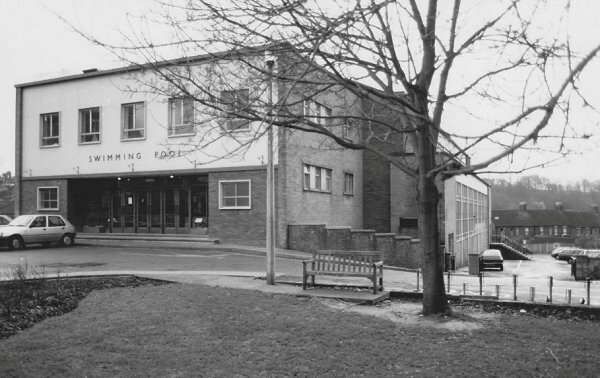 The extension at the side housed the tiered seating for spectators. 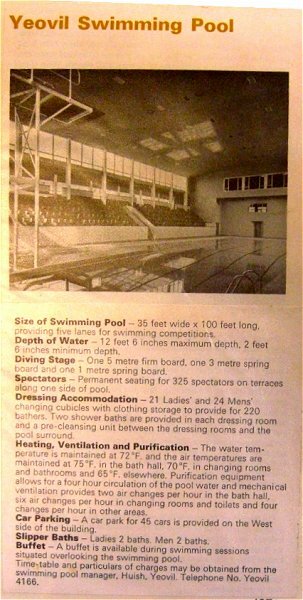 A handout from 1970, describing the pool's facilities. An interior view of the pool taken from the tiered seating for spectators. Photographed in the mid-1970s. 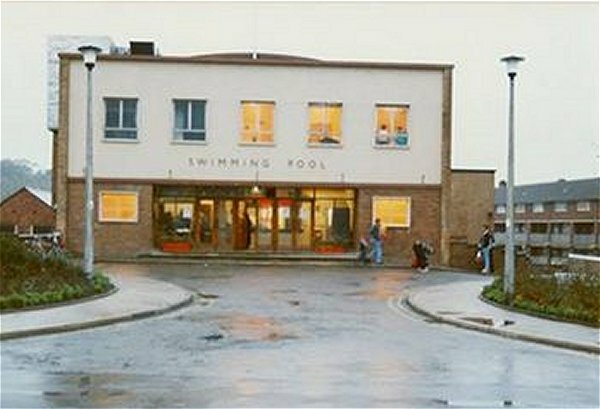 The Huish Swimming Pool photographed in the late 1980s. 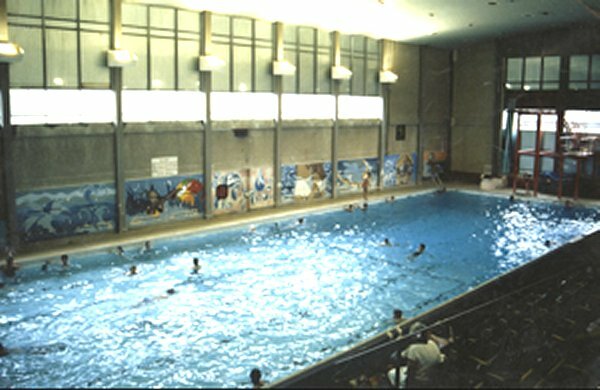 The Swimming Pool photographed in 1991, shortly before its closure and demolition. 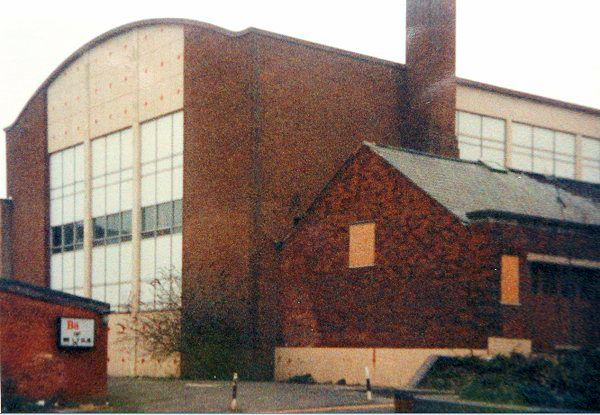 The rear of the pool, photographed around 1990 shortly before its demolition. The machine room of the public baths, containing the filtration system, chlorination system and heating system, was retained for use with the new swimming pool. Seen here in the mid-1980s. .... and then it was demolished in 1991. 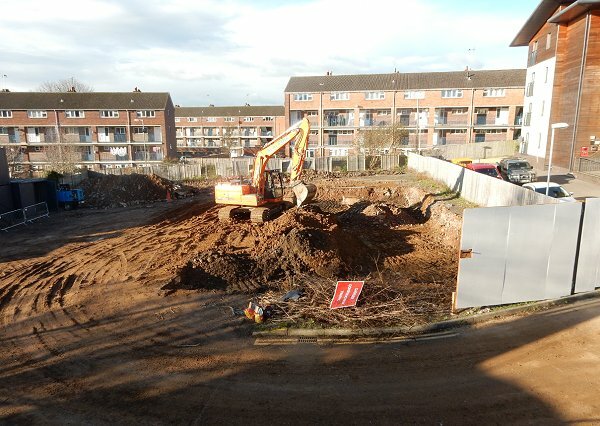 Having been an unsurfaced 'temporary' car park (and quite an eyesore) for many years since the demolition of the pool, the site is finally being cleared. Photographed in 2016.